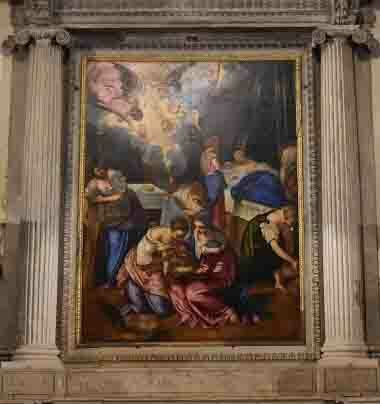 The new extraordinary exhibition of Tintoretto’s paintings has just started in Venice. It has two fantastic locations in the most poetic city of the world: one exhibition is in Palazzo Ducale and the second one is in the Gallerie dell’Accademia. However, there is something that not every tourist knows, you can find some of the most important paintings also in some churches in Venice, where you can see and admire the original environment for which the artworks were originally planned. Despite the fact that all these churches are extremely particular and seem to have their own personality, one of them attracts the attention more than the others. This beautiful church is called San Zaccaria and it is in Piazza San Marco, perhaps the most famous square globally. Even if the church is not that big and has only one painting by Tintoretto, it really charms the visitors who, by walking in the silence, can live a unique experience. Moreover, the experience gets even more profound because of the mystery surrounding this painting: even though it is called “The Birth of San Giovanni Battista”, there is the suspicion that this bright and colourful work might also represent the birth of Maria. The two exhibitions are for sure a must, but in order to enjoy and understand Tintoretto’s art a visit to the churches is strongly recommended!